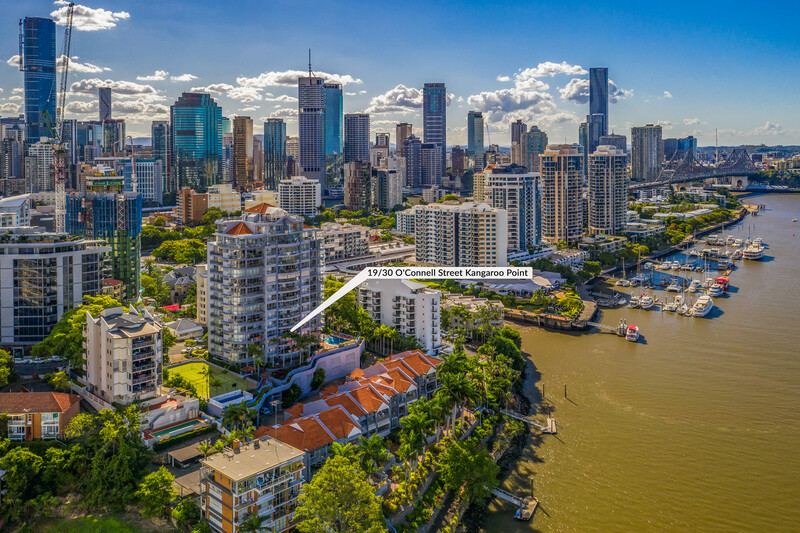 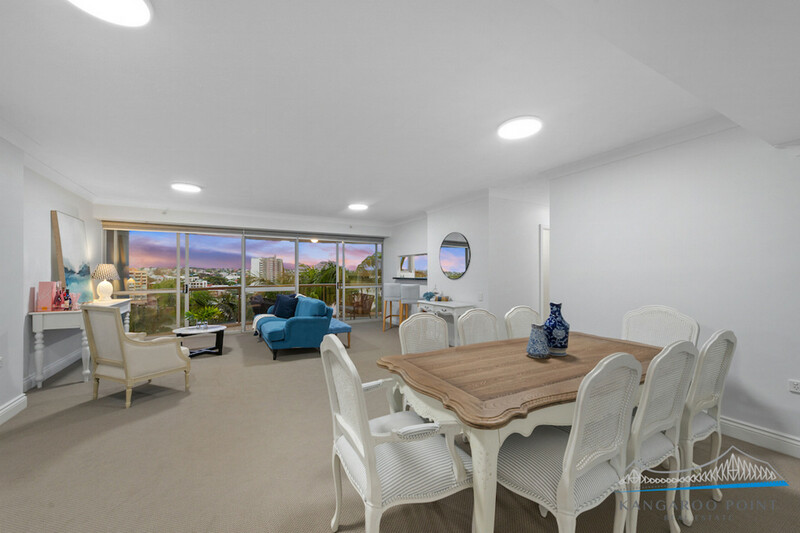 Encompassing a spectacular North-East facing layout with views of the River is this two-bedroom apartment designed for waterfront living, practicality and a highly-sought after lifestyle in one of the quieter pockets of Kangaroo Point. 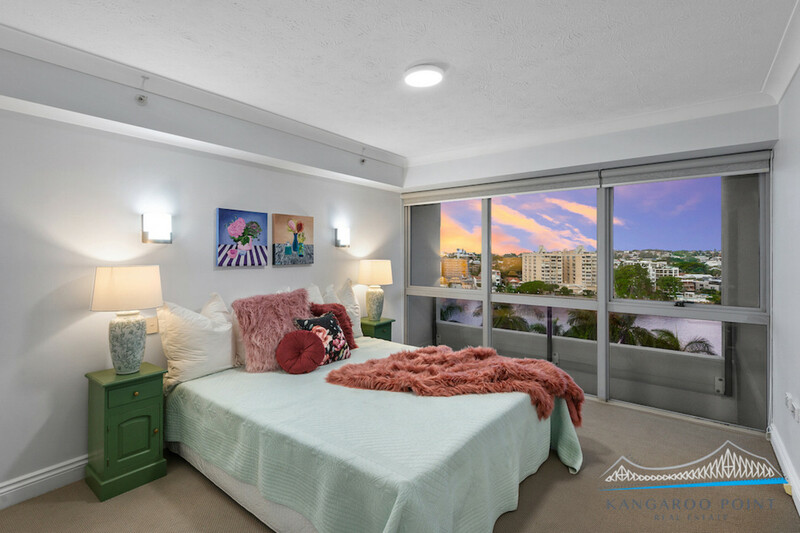 This incredible home has been re-touched to include freshly painted walls, new carpeting, blinds and light fixtures. 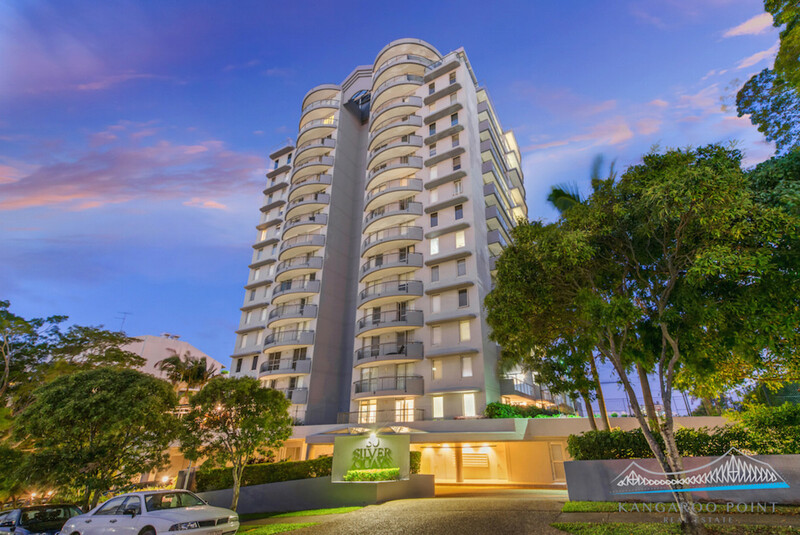 Combining the iconic style of the Silver Quays Residences with spectacular modern living. 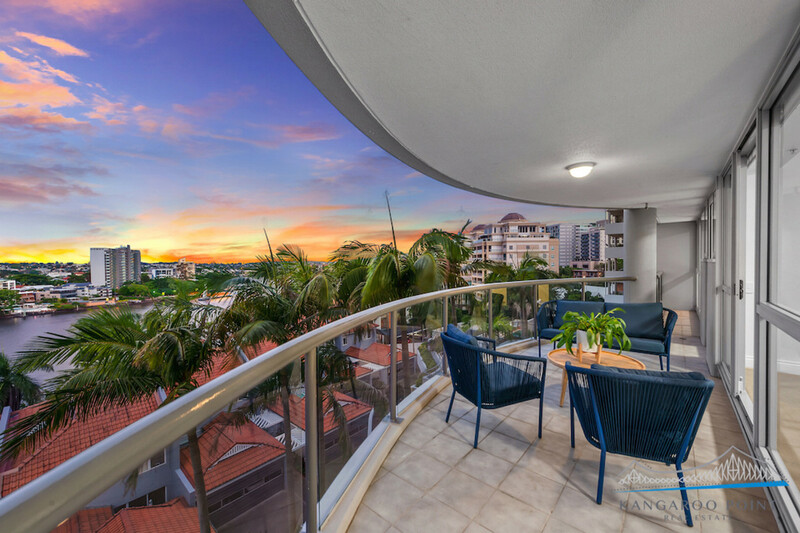 Enjoy an unbelievably leafy, secluded and river filled view as soon as you walk through the entrance with an open plan living and dining area encompassing floor to ceiling glass sliding doors leading out onto a private entertainer’s balcony. 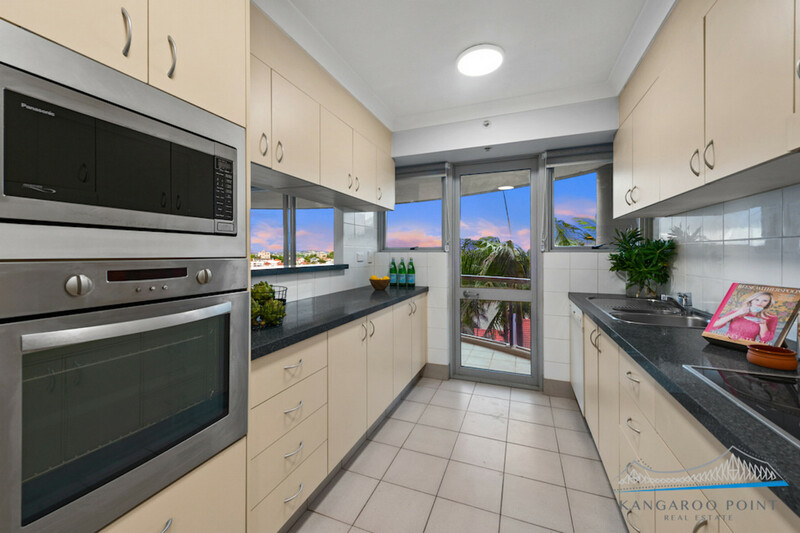 Off to the right of the living and dining is the galley kitchen which holds its own door leading to the balcony and boasts vintage charm and classic style. 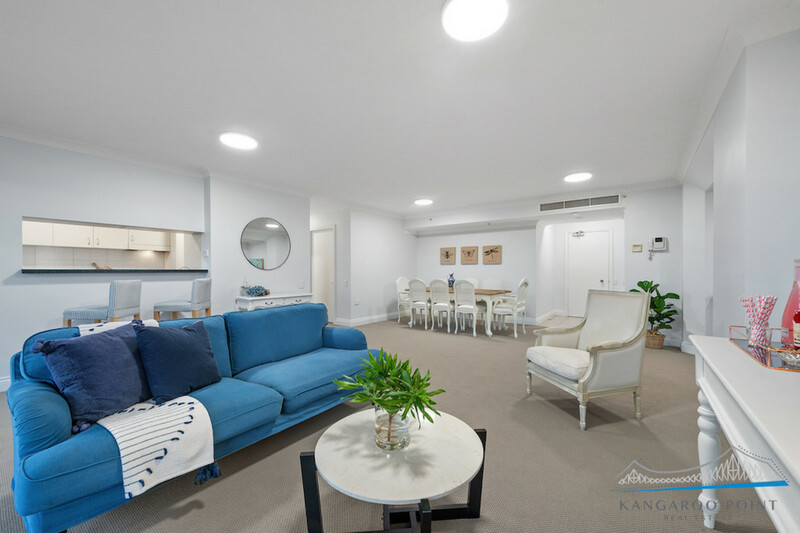 This apartment is equipped with TWO main bedrooms on opposite ends of the apartment, both incredibly spacious and housing their own walk in wardrobes with ample storage space. 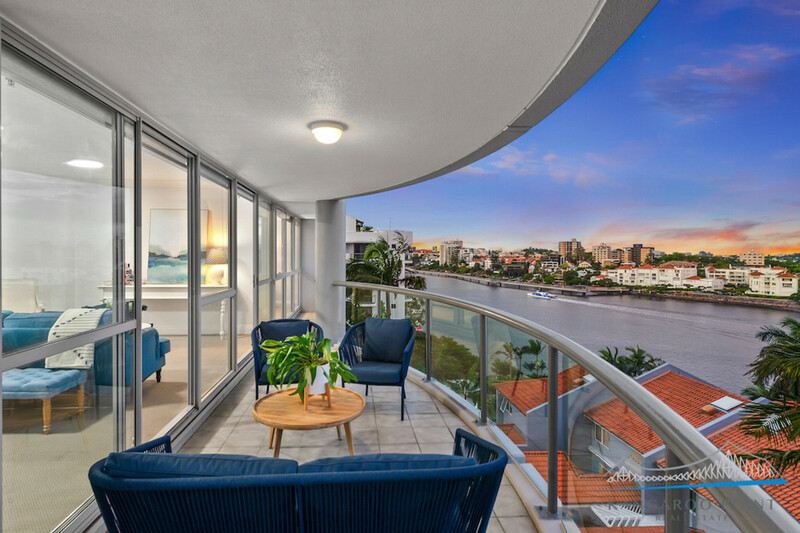 One bedroom boasts a private en-suite while the other bedroom provides private access to the main bathroom – both beautifully designed in a classic style and combining privacy with incredible views of the river from both rooms. 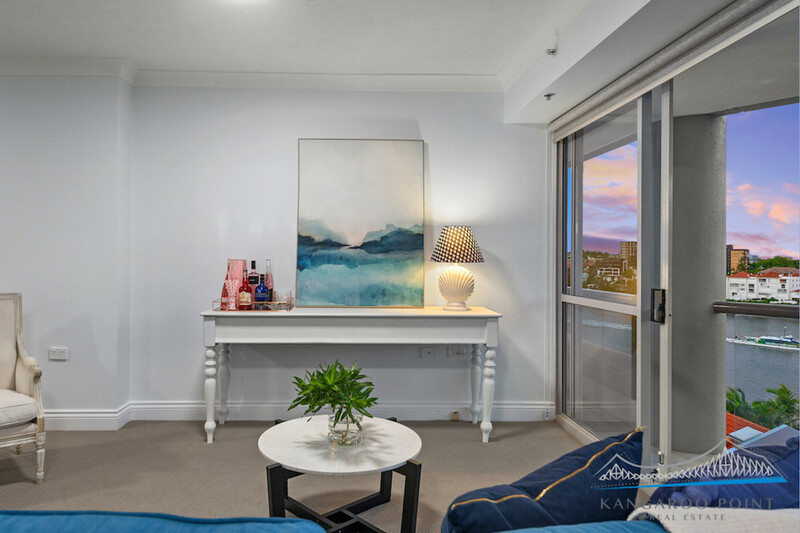 This spectacular apartment has been designed to maximise the incredible and uninterrupted North-East views that are showcased throughout the home. 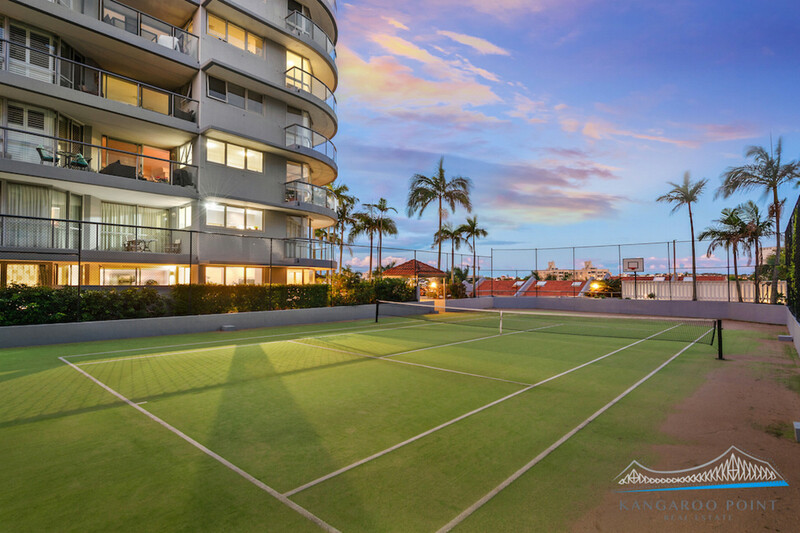 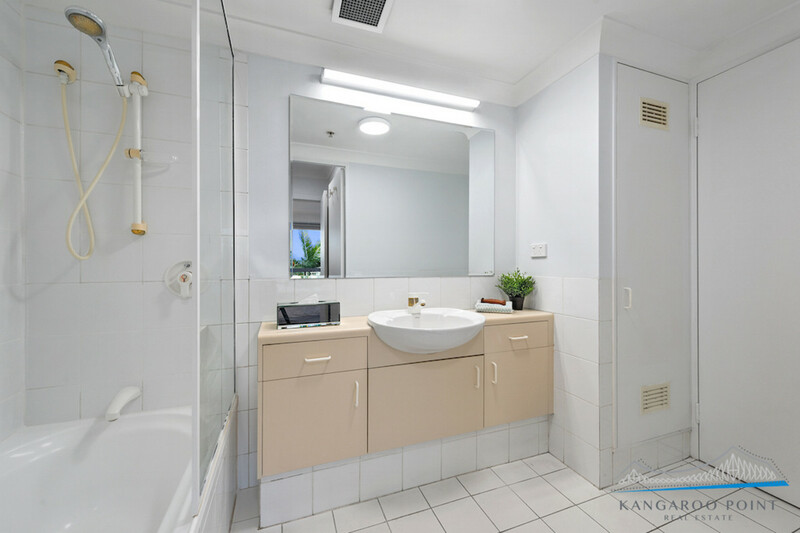 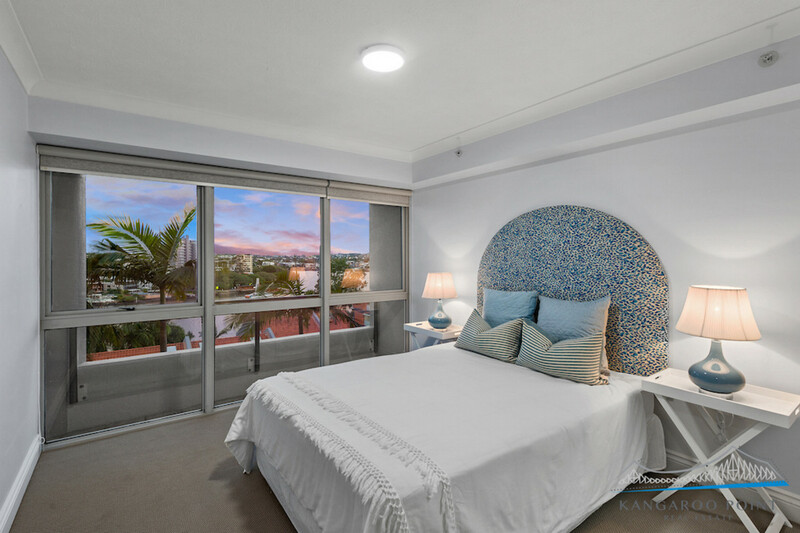 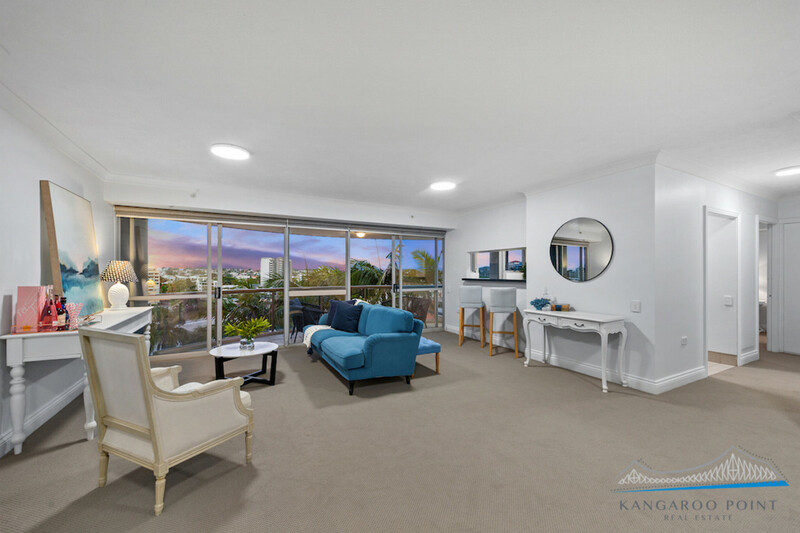 Enjoy a high-end lifestyle without compromise and easy access to all Kangaroo Point has to offer – located in a quiet pocket close to the city. 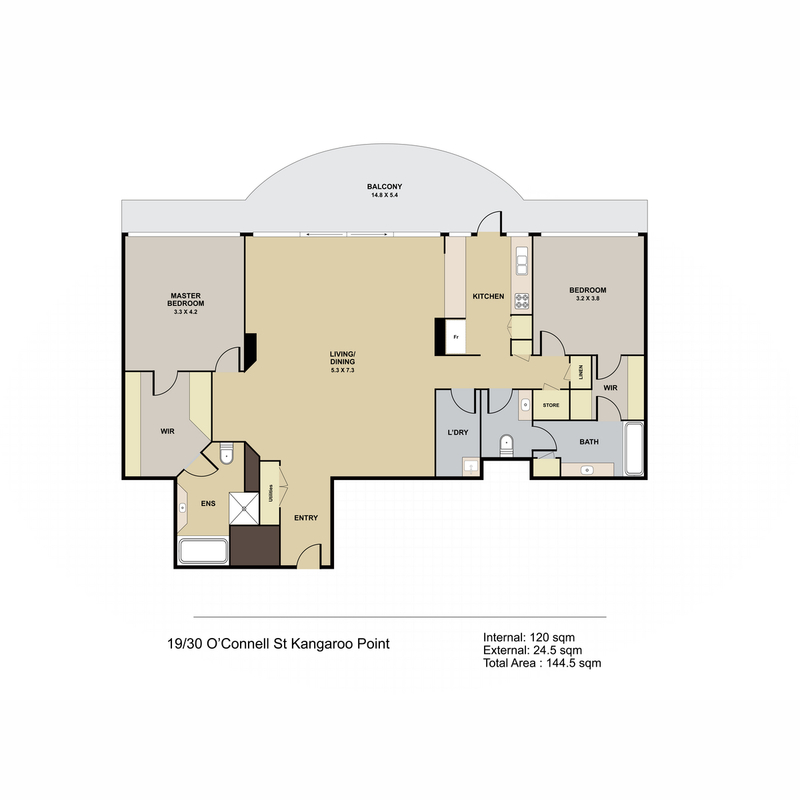 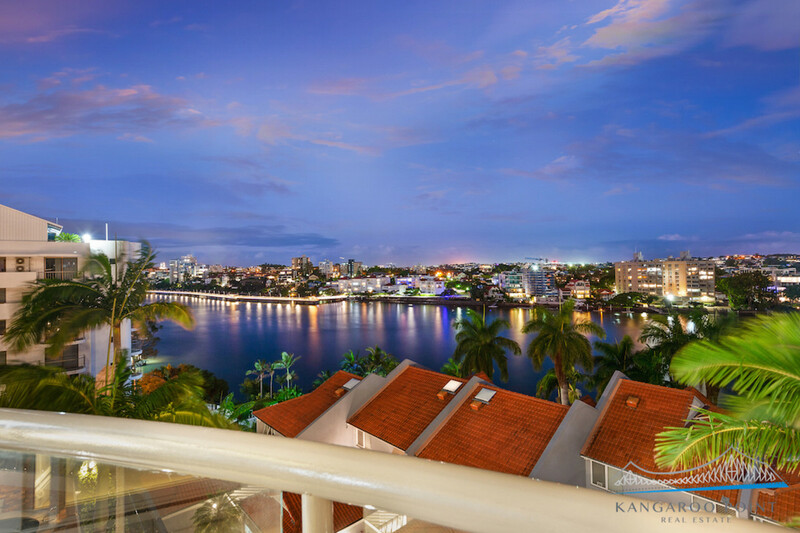 Kangaroo Point is an upscale inner-city peninsula paradise, surrounded by water and parklands. 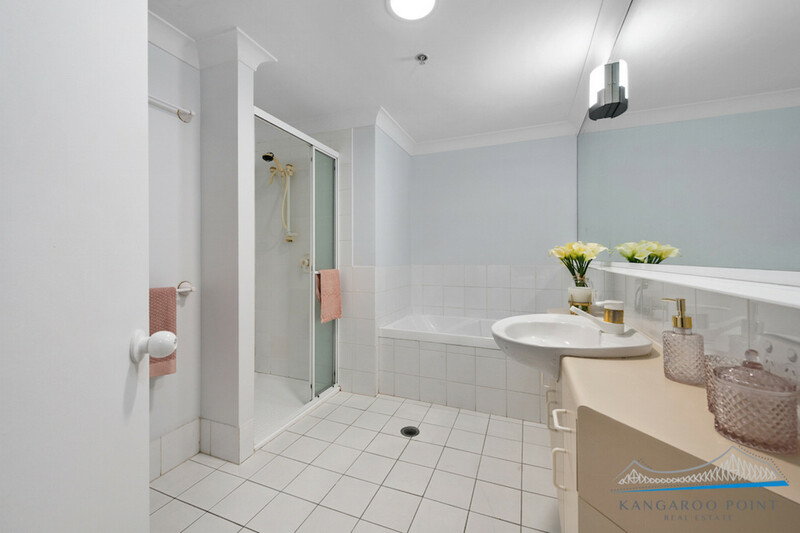 Transport needs are serviced by ferries, City Cats, buses with quick access to the Clem Jones tunnel, South East Freeway and Story Bridge. 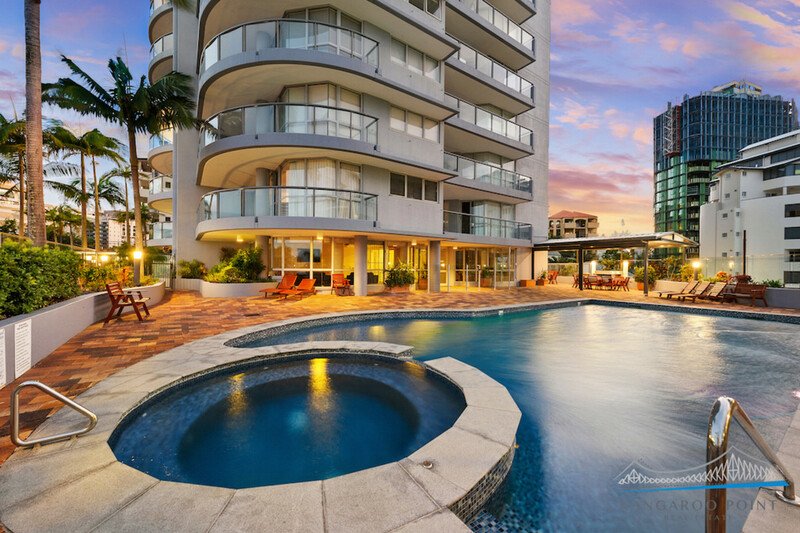 Entertainment is supplied by the Jazz Club, Story Bridge Hotel and the Gabba.